I bet you have a gorgeous image of exactly how you want your garden to look like. There are a plethora of beautiful gardens on this earth that can fire your imagination and, if you're like me, you'll always aim for that. The actual results usually deviate significantly from how you thought it would be, though. This is especially true when planting and growing trees! 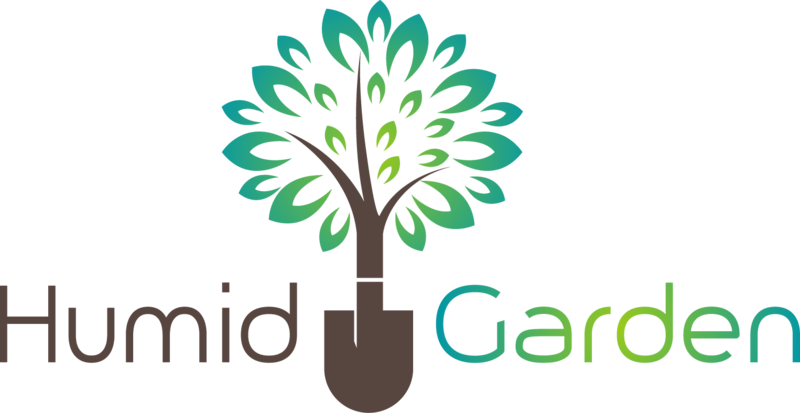 When you buy a sapling from a gardening center, you expect it to grow straight up without too much difficulty. Things can go pear-shaped very quickly, unfortunately. I struggled with my back garden for many months before I decided to learn how to straighten a tree properly. I'd been using my own methods which weren't very effective. In my own defense, the soil was full of rubble from the previous building site! 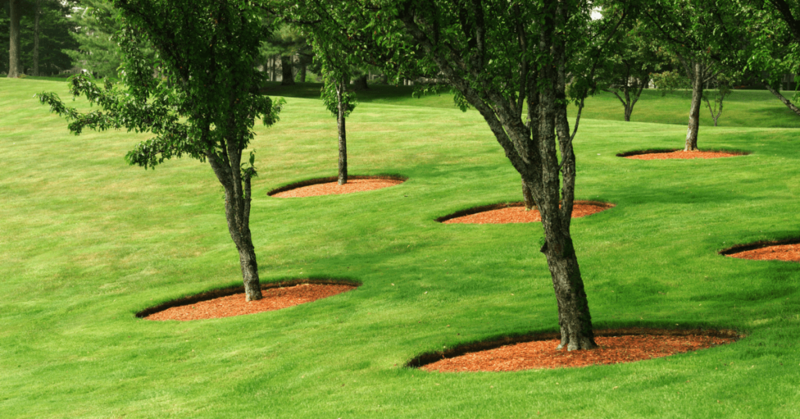 Knowing how to straighten a tree effectively and efficiently is a very necessary skill set for any budding gardener and this articles explains how. If you've been a gardner for some time or have ever done any kind of DIY work, you may already have most of the items you'll need for staking. Usually most of these items will be in your garage or gardening shed. 2 Stakes (For trees shorter than 12ft, use Wooden stakes. For anything larger than that, or very heavy trees, please use metal stakes. The first thing you want to do is to notch the stakes if needed. Metal stakes will already have holes or notches in them. This video is a great example of making a notch in a stake. The video uses a power saw but the principle is the same for a saw. 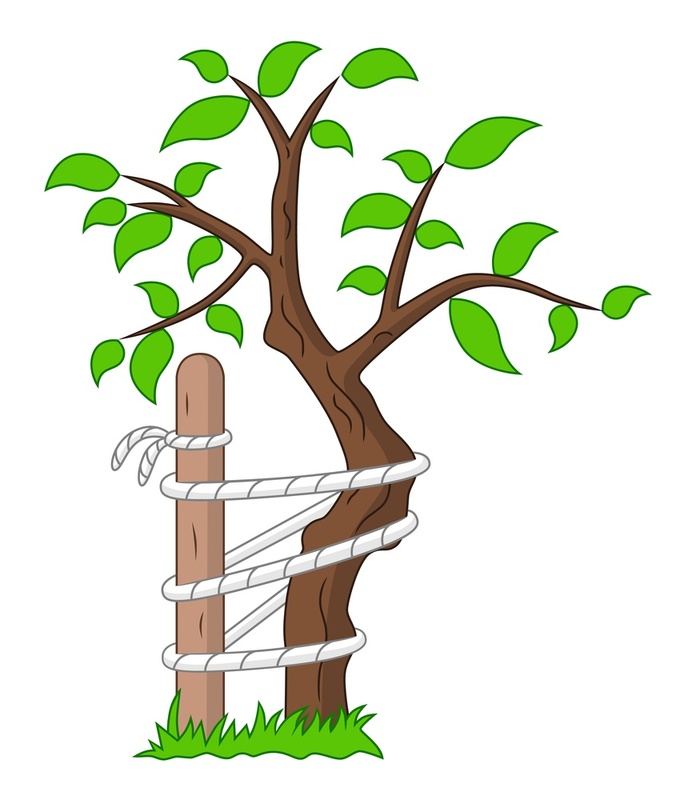 Leaving a few inches from where the top of the stake will be, mark a suitable area based on the circumference of the wire you're going to use for straightening the tree. Make sure the stake is safe to notch by using a clamp (for power saw) or bricks (for a saw). With your tool of choice, make an incision into the stake. You can then make another incision to create a wedge notch, which is probably the easiest and least time-consuming way to do this. Did you know how to become an arborist in 36 short months? Find out ﻿﻿h﻿﻿ere! The next thing you need to do is make sure you're not going to drive the stakes into the root-ball of the tree. This can damage the roots and weaken it. This is an excellent video showing a step by step guide on staking a tree that needs straightening. We're trying to straighten your tree so the first thing to do is get your first stake and place it just outside of the rootball area. You will want to make sure that the stake is driven in deeply so using your hammer/mallet, drive the stake into at least 12-18” deep. If the stake doesn't feel sturdy enough, keep going until it does, checking every inch or so. With your first set of canvas strapping, aim for half the distance between the trunk and the first branches and wrap it around there. Ensuring that the wire doesn't come into contact with the wood, thread the wire through the canvas loops and around the notch of the first stake. The wire shouldn't be completely tight – allow a little room for the tree to sway. Your second stake should be on the opposite side of the tree from the 1st. Make sure the distance is fairly equal between the tree and the two stakes. You'll drive the stake into the ground in the same way you did with the first. It should be 12-18” deep, or further if it doesn't feel sturdy. Wrap the second piece of canvass strapping just above or below the first and then thread the wire through. Make sure the wire is around the notch of your second stake and that it is flexible enough to allow for slight swaying. You should be aiming to remove everything after one growing season. Remove the stakes first, then the wires and canvas and test the tree to make sure it's now stable. If it's not stable or the tree is still crooked, reapply the stakes, canvas strapping and wire and check again after another season. This article explains the process perfectly. Read Also: How To Save A Dying Tree? Being able to straighten the trees in my back garden was really important for me. It meant I was actually making progress towards creating something that was previously just a dream. It also means that in the years to come, I won't need to worry about the tree growing in a particularly bad direction that might cause damage to my home! I hope you enjoyed this article as much as I enjoyed writing it. If you have any other tricks that I might have missed out, let me know in the comments below.